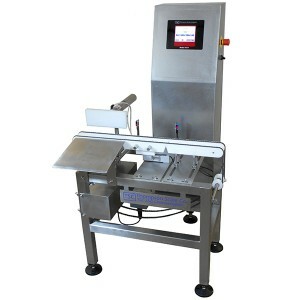 Drag chain style checkweigher, equipped with two strands of flat-link chain to carry your rigid package across a fixed scale section. Overall typical length of 36”. Scale sections from 3” to 14” long, product dependent. Rates as high as 350 packages per minute. Accuracies as high as +/-0.5g @ 2 Sigma.